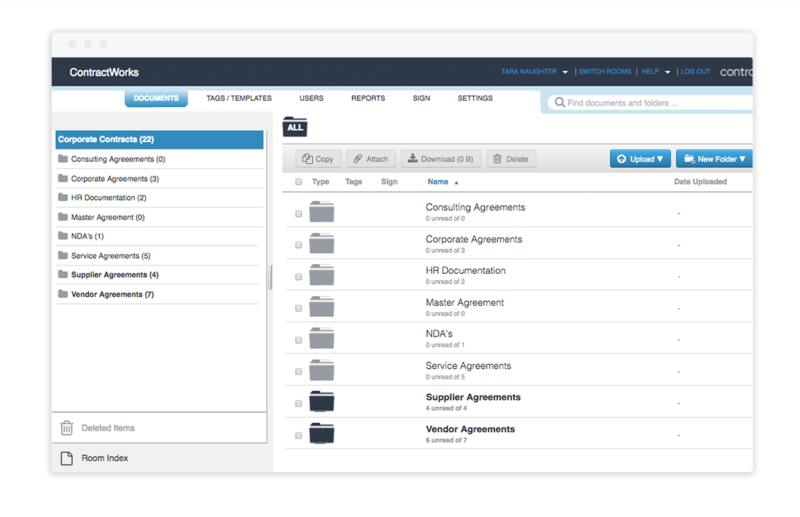 Gone are the days of complicated, impossible-to-implement contract lifecycle management systems. Welcome to ContractWorks. 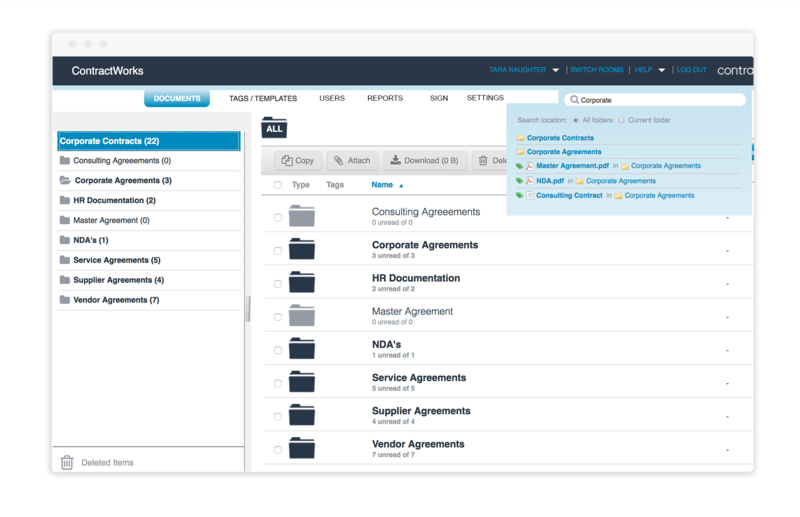 A secure, centralized contract repository allows you to securely store and quickly access all contracts and supporting documents. Set unlimited notifications on any milestone date you choose and receive email alerts reminding you of the deadline, or review alerts on a calendar. The ability to set custom fields allows you to create detailed reports specific to your criteria. Reports can be exported and are sharable. 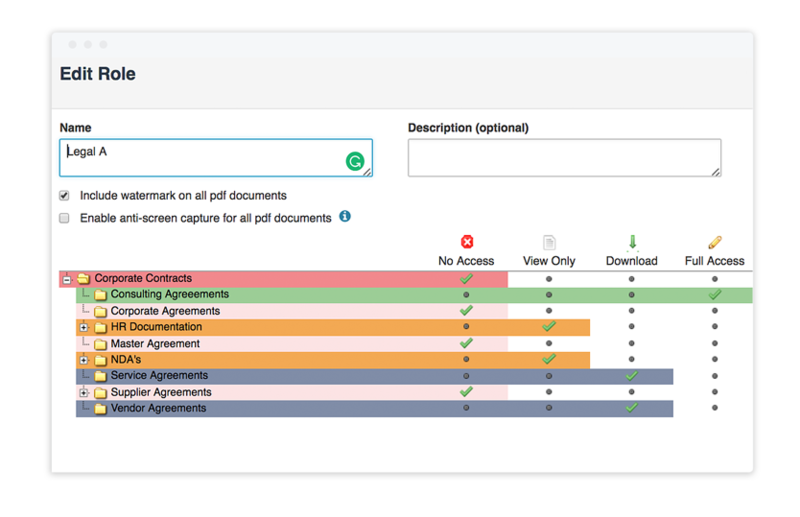 OCR text search allows you to search within your contract repository quickly, helping you find the information you’re looking for in seconds- not hours. 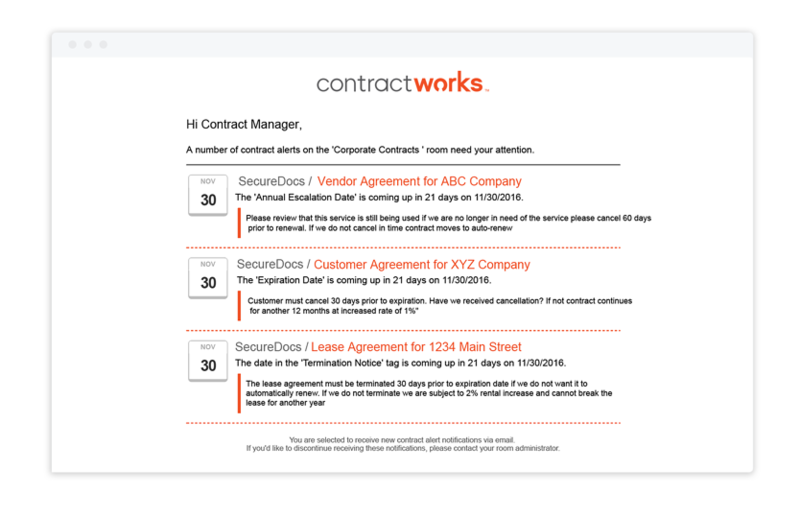 ContractWorks now offers a built-in electronic signature feature. 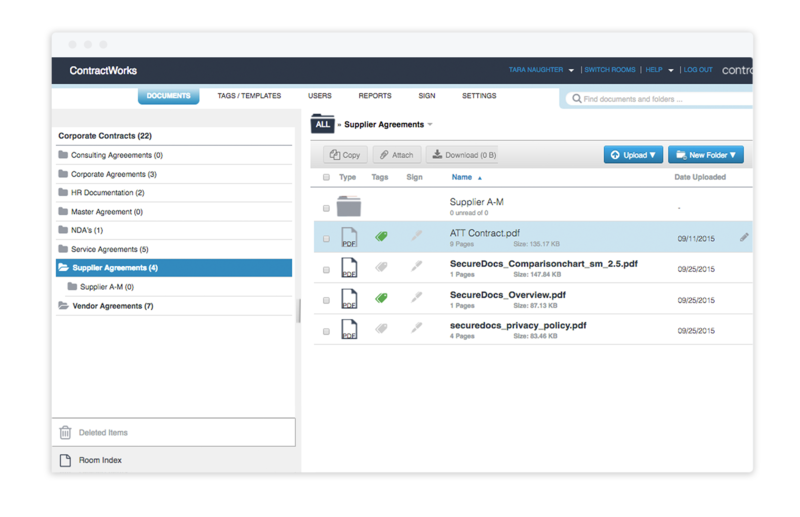 Quickly set up and send out documents for signing with no cumbersome API. 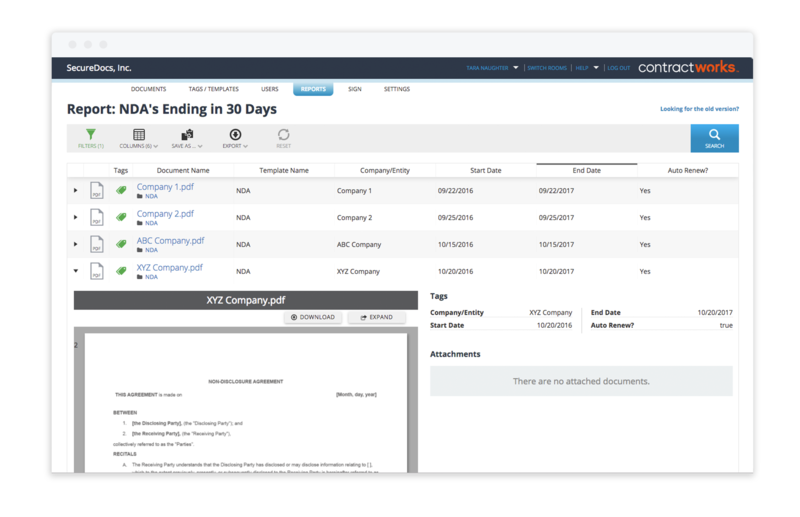 ContractWorks offers simple drag and drop functionality, allowing you to start implementing the system immediately and making ongoing uploads quick. 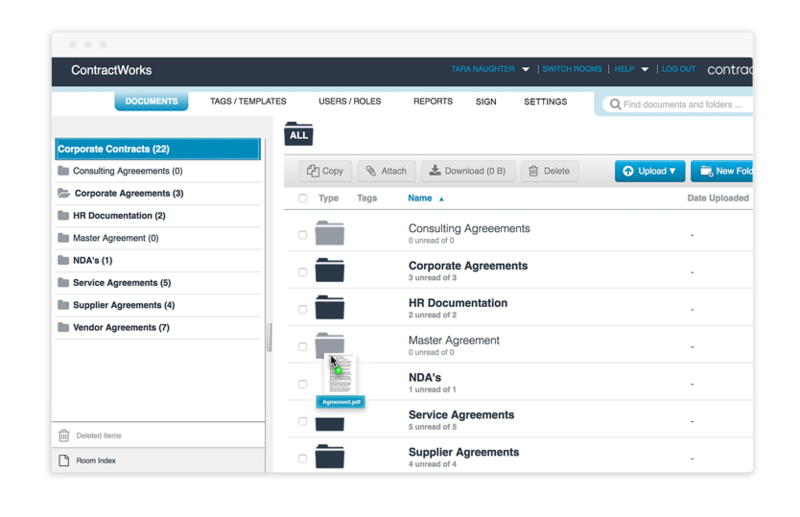 ContractWorks allows you to set permission-based user roles so you can control who has access to which documents. 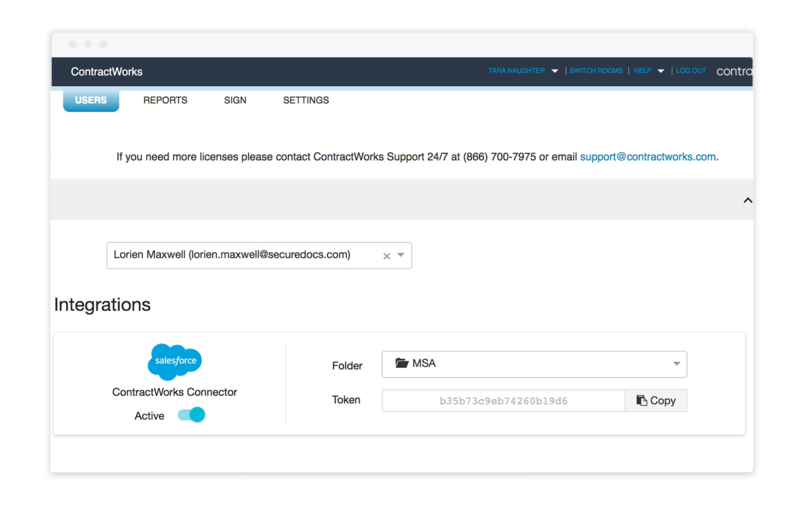 Quickly send documents and contracts from Salesforce to ContractWorks with the click of a button.